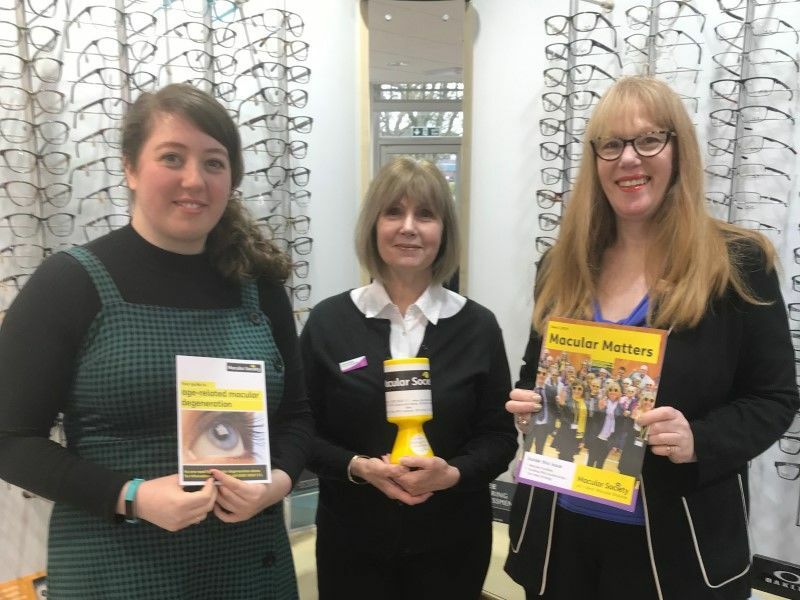 Leightons Haslemere branch has been raising money for the Macular Society throughout the year in order to raise awareness of macular diseases and to support the charity. In recent months, thanks to the generous local fundraisers, Leightons Haslemere have raised over £200 for the Macular Society! Macular disease is the nation’s biggest cause of sight loss, with nearly 1.5 million people being affected in the UK alone. There are various types of macular disease that can affect people of all ages. The most common is age-related macular degeneration (AMD), which usually affects those over the age of 50. Macular disease significantly impacts people’s quality of life as it affects their central vision, including their ability to read, drive and recognise faces. The Macular Society is a UK-based charity aimed at supporting those whose lives are affected by various macular diseases and is supported by Leightons. Donations to the Macular Society go towards research for new treatments and a potential cure, as well as providing emotional and physical support to those who suffer the disease and families who may be also affected. If you have any concerns about macular disease, you can find more information on the Macular Society’s website or on our blog here. At Leightons we offer the Ultimate Eye Examination which will includes an Optical Coherence Tomography (OCT) scan, that can help to detect serious eye conditions, including macular degeneration, up to five years earlier than traditional testing methods. Our optical experts can also provide advice on lifestyle changes to help prevent and minimise the risk of developing a serious eye condition. Book online, or call your local branch today on 0800 40 20 20.